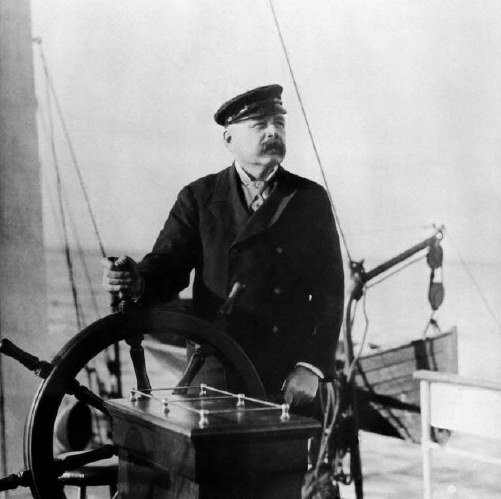 Known in the family as JJ, John was born in Great Yarmouth in December 1847. 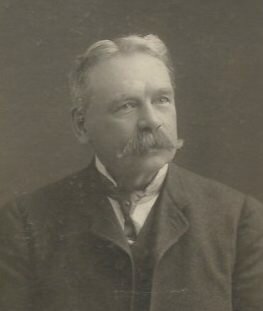 He received a good education at Shireland Hall School near Birmingham before emigrating to Canada with his elder brother in 1870. Settling in Toronto, he worked as a millwright, a machinist and as a proof-reader on the Toronto Globe. 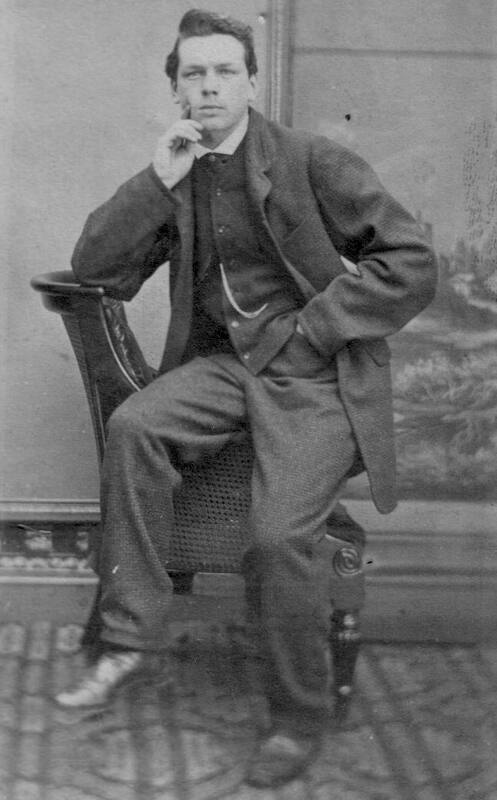 In 1874 he married a lumber dealer’s daughter, Jessie Firstbrook, and they went on to have six daughters and two sons. In 1876 he attended the Centennial International Exhibition in Philadelphia, held to mark the 100th anniversary of America’s independence. 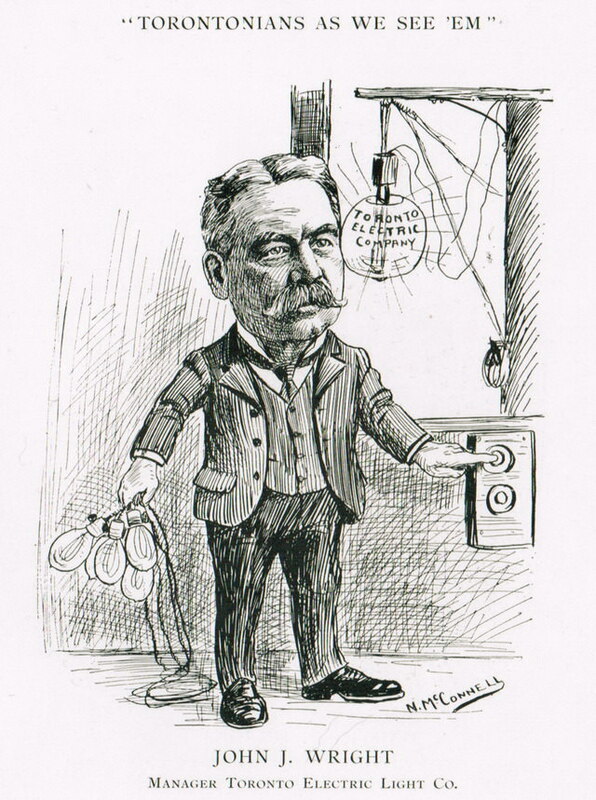 He saw many new-fangled electrical devices there, including an electric pen and a telegraph which could transmit four messages simultaneously over a single wire. He attended lectures on electricity in the city, and found work with a local electrical firm. 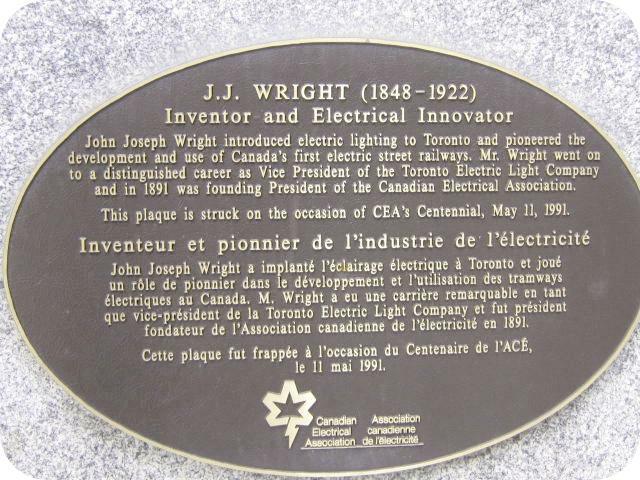 Before returning to Toronto in 1881, he helped to install Philadelphia’s first electric-arc street lamps and pioneered the concept of placing electrical wires underground. A stocky man with a large moustache, JJ was not unlike his notorious elder brother in appearance and manner. He was known for his geniality and liked to be at the ‘centre of a jolly party.’ Like his brother he was a keen astronomer (he built a private observatory at his Toronto house) and was an enthusiastic sailor. He belonged to the Royal Canadian Yacht Club and enjoyed ‘speeding’ across Lake Ontario in his steam yacht Electric. He retired from the electrical industry in around 1915 and settled in Niagara-on-the-Lake, before moving to Newcastle, Ontario, in 1921. He died the following year and was buried in Mount Pleasant Cemetery in Toronto. He saw little of his brother after they went their separate ways in the early 1880s, but remained on good terms with him. The wreath he sent to Whitaker Wright’s funeral in 1904 bore the inscription ‘Mourning the loss of the best of brothers’.